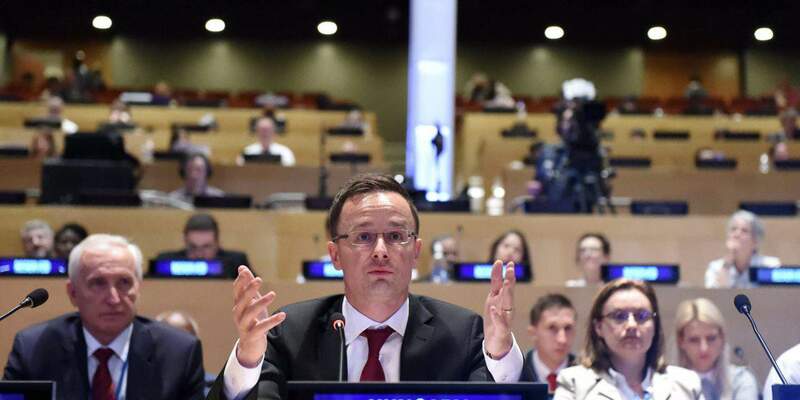 New York, May 18 (MTI) – Digitalisation is not something to be wary of, as it contributes greatly to reducing poverty and improving living conditions, Hungary’s foreign minister said in New York at a UN high-level event on innovation and digital connectivity. Péter Szijjártó said in his address to the meeting on Wednesday afternoon that a new phase of competition was unfolding in the global economy. Following competition based on tax cuts and infrastructure development, global competition will now turn towards digitalisation, he said. 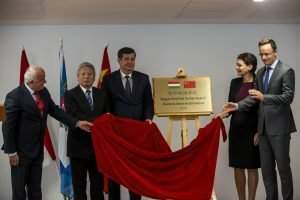 This race will depend on which countries can digitalise their economy the quickest and who will be the fastest to connect production with digitalisation, the minister said. Innovation is a key issue for the future, he said. He noted that Hungary has the lowest corporate tax rate in Europe and one of the lowest personal income tax rates. With its extremely dense transportation network in the heart of Europe, Hungary has become Europe’s winner in the competition of tax cuts and infrastructure development. 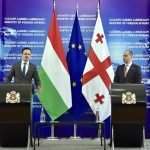 “Having said that, we will not be satisfied until we become the winners in the European digitalisation competition, and a good basis for this is that high-tech industries now view Hungary as a development centre,” he said. 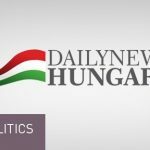 The digital economy already accounts for 20 percent of Hungarian GDP, and 15 percent of people employed in Hungary work in the digital economy, he added. He said Hungary must keep two years ahead of the European digital agenda if it wants to win the European digitalisation competition and attract new ultramodern investments to further accelerate growth. The minister added that one consequence of the new digital world is that the number of devices connected over the internet will exceed the number of mobile phones in the world next year. Szijjártó also laid out Hungary’s goals for the next few years in connection with digitalisation. One of them is making broadband internet with a speed of 30 Mbps available to all Hungarian homes and businesses by 2018. In addition, the government will reduce the VAT rate on internet services from 18 percent to 5 percent next year, he said, adding that Hungary is set to become a regional centre for the development and testing of 5G networks in central and eastern Europe. He added that the government aims to get the carmakers and IT and electronics companies that make up the backbone of the Hungarian economy to develop and test their latest technologies in Hungary. 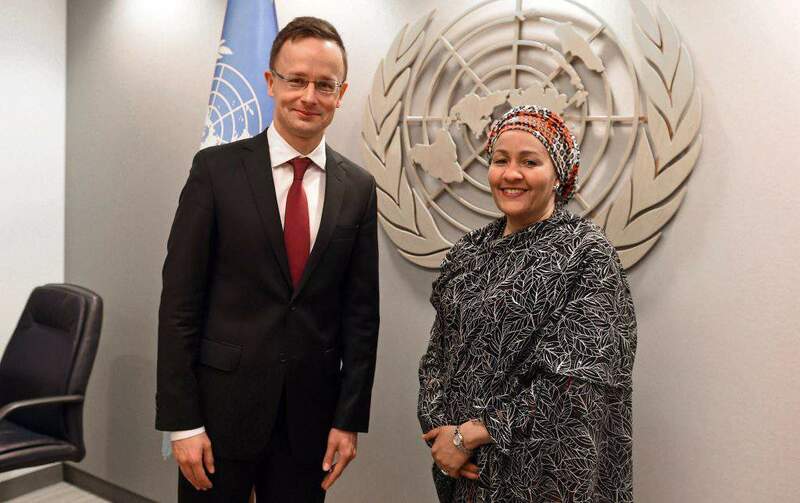 Prior to the UN meeting, Szijjártó held talks with UN Deputy Secretary-Generals Jeffrey Feltman and Amina Mohamed. The minister said Hungary supports a comprehensive reform of the UN with a view to making the organisation more effective and ensuring that it can respond faster to the most important global challenges. Szijjártó also told the officials that Hungary supports the UN stepping up its role in the fight against terrorism and devoting greater attention to conflict prevention. 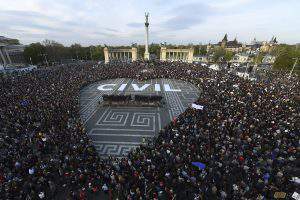 To aid the organisation’s efforts, the Hungarian government will support the UN’s conflict prevention activities and the establishment of an international independent mechanism aimed at ensuring that crimes committed in Syria do not go unpunished, with 50,000 dollars each, Szijjártó said. He said a reform of the UN was also needed so that the organisation could take an effective stand in the protection of Christians worldwide.